Bermans has announced record financial results for the fourth consecutive year with the firm reporting an increase in turnover by 12% from £5.3M to £5.95M for the financial year ending 30th June 2018. Bermans success has been demonstrated through a number of achievements such as its dispute resolution product, Escalate, winning ‘Innovation of the Year’ at The British Accountancy Awards as well as ‘Best Collaboration Initiative’ at The Lawyer Awards. The invoice finance team also picked up an award for ‘Best Receivables Finance Lawyer’ at The Business Money Receivables Awards earlier this year. Other developments in line with the firm’s growth include the relocation of its Manchester office to One King Street, Manchester. In addition, the firm welcomed senior recruits Stephen Jarman to the corporate team and Gareth Farrelly to the newly formed sports law team this year. To allow the firm to continue to deliver high standards of client care, Bermans is set to implement a new practice management system in 2019. This will ensure the client is at the centre of every task and process, therefore enabling the best possible client experience. 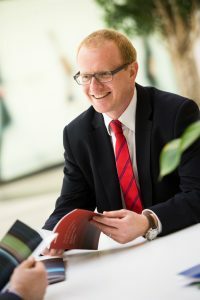 Nick Harvey, partner and head of litigation and dispute resolution commented: “12% increase in turnover in the year, three leading industry awards, the creation of a burgeoning new sports law department, – it is fair to say we have had another pretty decent year! “The firm really is flying at present through its full commercial offering out of both Liverpool and Manchester offices. “The innovative SME funding solutions programme has given the firm a real cutting edge as well as providing SMEs with much improved cash flow. It’s great to see what we do make a real and immediate impact . Bermans offers a full service offering to the SME sector and has niche specialisms in asset and invoice finance law. The firm is set to see continued growth and predicts turnover of £6.3M in its next financial year.